The Hotel Bellwether and Lighthouse Grill is bringing five dynamic wineries to the Admiral Garden Room on Thursday, March 14, from 5:30 to 7:30 p.m. and featuring Spanish wines. After ten years of hard work, the modest 16th-century stone-built bodega of the Pesquera Group and Alejandro Wines planted the seed for what has become one of the most prestigious bodegas in Spain. Alejandro Fernandez proved that commitment and determination would pay off and his wines are now appreciated worldwide. Savor the pours of Pesquera Crianza, Pesquera Reserva, Candado de Haza, and Dehesia Granja. The Belezos family’s wine-making tradition reaches back as 1898 with roots in Jerez, Spain. Maribel Belezos grew up in an environment dedicated to the vines cultivated by her grandparents resulting in inherent wisdom and studies in Bordeaux complete with a gift for innovation. Enjoy the wines presented including Belezos Rioja Crianza, Belezos Rioja Organico and Belezos Rioja Blanco. The Artacho family had a deep wine tradition when, in 1890, they founded Bodegas Riojanas together with Rafael Carreras. The signs of tradition are evident in the stone door built in 1799 providing access to the family vineyards, preserved today, along with the awards awarded as far back as the Golden of the Universal Exposition in Barcelona in 1888. The wines they will be pouring at this event are Veiga Naum Albarino, Monte Real Blanco, Canchales, Monte Real Tempranillo, Monte Real Crianza, Monte Real Reserva, and Monte Real Grand Reserva. Juan Gil Bodegas Familiares, Gil Family Estates, is named for a group of certain small wineries scattered throughout Spain who joined together in 2002. With a refined image and unbeatable relation between the quality and price, this broad portfolio of Spanish wines has different characteristics and backgrounds but with that common denominator. Enjoy the pours of Lagar da Condessa Albarino, Honoro Vera Rioja, Atteca Old Vines Monastrell, Bodegas Morca Godino (Garnacha), Juan Gil Silver Label, Juan Gil Blue Label, and Clio. Each of these casual wine tasting events will feature at least two wineries offering their best vintages for tasting and purchase. Guests are treated to a unique opportunity to taste limited production wines that are also offered at special prices for purchase that evening. As you sip and savor, you will enjoy the finest bites from our own Lighthouse Grill. This month we’ll see a Spanish-inspired array of small bites from the new Head Chef Peter Birk who recently joined the Hotel Bellwether and Lighthouse Grill. 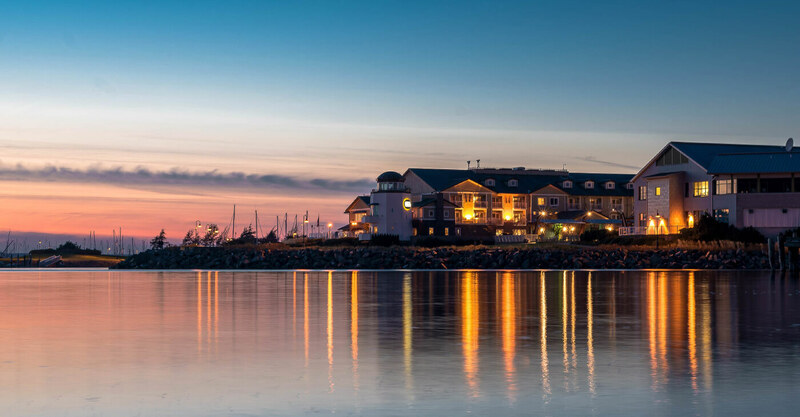 Located at 1 Bellwether Way in Bellingham, Hotel Bellwether is a luxury Bellingham hotel on the waterfront, situated on Bellingham Bay in the vibrant Pacific Northwest. To the east is the spectacular Cascade mountains featuring majestic Mount Baker, a 10,750-foot snow-capped peak known for its brilliant sunrises and world-record snowfall. To the west are Bellingham Bay marina and the world-famous San Juan Islands. Enjoy the stylish shops, boutiques, salons, coffee shops, restaurants and parks that make up the unique Bellwether community of Bellingham.